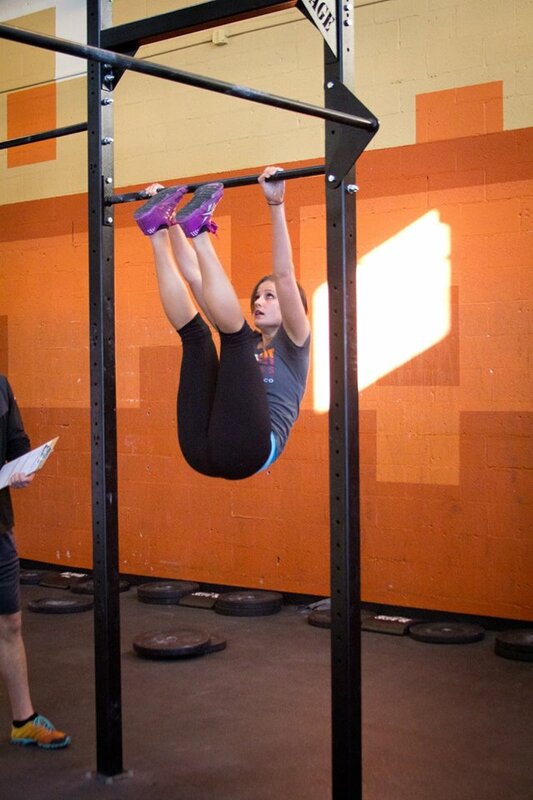 The following is a guest post from Caitlin Carrigan, a fellow CrossFit athlete and Holistic Health Counselor. She received her training from the Institute for Integrative Nutrition, where she was trained in more than one hundred dietary theories and studied a variety of practical lifestyle coaching methods. Caitlin now offers health and wellness counseling and great recipes and nutritional advice through her company Long Live Food. In today’s post, she tells us about her experience training for her first ironman. These are three words I have heard many times in my life thus far. The most recent commentary has been in regards to me deciding to do the 2014 Ironman Texas in May. Before I go there, let me tell you why I decided to do this. My family has a history of heart disease, and has sort of accepted that it is a normal thing that happens to people. Basically, the opinion is that as you get older, you lose your quality of life, you get fat and unhappy, and you die. Obviously this thought process doesn’t sit well with me. I firmly believe we are all in charge of our destiny, and can choose to live an amazing life, no matter what your size or genetic history. During college was when I first realized how much crap was in our food. I started eating cleaner, and instantly eliminated lifelong digestive issues. I also realized how terrible medications were. I saw how my father’s quality of life diminished quickly after he was put on multiple heart medications, and I decided to toss away anything I was taking for ADD and acne, and to not fill the prescription my doctor wrote out for “high cholesterol”. “You’re crazy”, I was told. So, the Ironman. The Ironman is a 2.4 mile swim, a 112 mile bike ride, and a 26.2 mile run. I have always had this event on my bucket list, and it was something to work towards. Truthfully though, I only decided to sign up after my Boston Qualifying time of 3:34:02 was about 40 seconds too slow to make it into this year’s Boston Marathon. So, in a fit of rage, I signed up, e-mailed the head CrossFit Coach at our gym, and started training the next week. 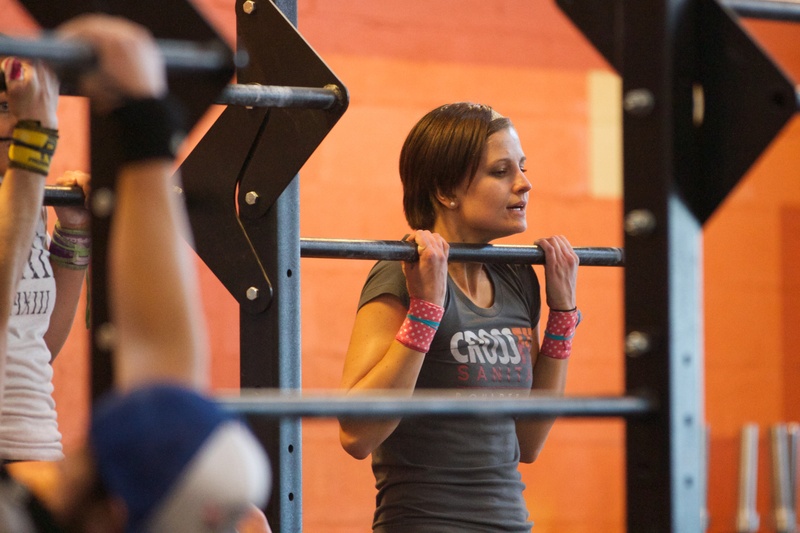 CrossFit Endurance is what I am using for my training, and the programming was designed by Caleb Diebolt at CrossFit Sanitas in Boulder, Colorado. Basically I train six days a week, and three of those days are more intense than the others. Even of my day off, though, I am either hiking or biking for an active recovery. When telling people I am using the CrossFit endurance model for a full triathlon, the phrase “you are crazy” gets dropped on the daily. But I have really learned to trust my training, and my coaches. My workouts are intense. For example, rather than running a 13-mile training run at a steady pace, I do 6-minute and 15 second mile repeats. I do high intensity intervals that include dead lifting, and using an old school AirDyne bike (which I believe is the worst machine ever invented). This will be my first triathlon of any sort, so I am both excited and nervous. I just want to finish. But ideally it would be awesome to get a time that I can be proud of. I also sort of want to prove the “haters” of CrossFit that it is a super effective program, and should not be dismissed (by the way, I Boston Qualified by only using CrossFit, and running, at max, a 10k. Another thing I was “crazy” for doing). Lastly, the most important aspect of my training has been my sleep and nutrition. I burn through calories, but am pretty strict on eating unprocessed foods. I abide closely to Paleo guidelines, but really try to never eat anything from a box. This has meant a lot of eggs, sweet potatoes, and vegetables. I cannot stress enough how a low inflammatory diet has made me excel in every aspect of my life. My sleep, overall mood, and energy has improved. My cholesterol is perfect. Plus, my performance is proof in itself. When I drink beer and pizza the night before a big workout, my time suffers, and my strength as well. All in all, I really want to get out there and help people understand you’re not crazy for your dietary or exercise choices. I am choosing longevity and a high quality of life. I listen to my body, rest when I need to, and I never over train. I sleep as much as I can, and eat as clean as possible. I try to convey this through my blog, Long Live Food, and work with people as a Health Coach to help them make positive lifestyle changes. I truly believe an active, healthy lifestyle is the way to live, and I want to help as many people as possible get to where I am today.